Global security is under threat. The system of international rules that has kept our citizens safe and our societies prosperous since the end of the Second World War is under attack by States that do not respect international law. The threat to the international rules based system is not abstract or far-fetched. It is here, and it is now. Chemical weapons are barbaric and illegal. 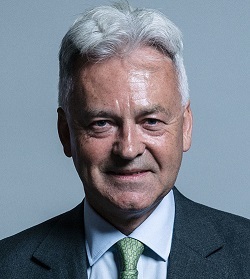 The UK was a key player in the global effort to end their use, resulting in the Chemical Weapons Convention, which all but four UN Member States have signed up to. In recent years, we have seen the taboo on the use of chemical weapons increasingly challenged. The world has watched in horror at the repeated use of chemical weapons in Syria, Iraq, Malaysia and now in a quiet city in the UK. Right now, repressive regimes are seeking to normalise the use of chemical weapons as a legitimate weapon of war. We must not let this happen. In Syria, the Organisation for the Prohibition of Chemical Weapons (OPCW) and United Nations (UN) independent investigative body found that the Assad regime used chemical weapons against its own citizens on an astonishing four separate occasions at least. And a significant body of information – including intelligence – indicates the Syrian regime killed up to 75 people in a chemical weapons attack on Douma in April. The international community has used every possible means to deter the use of chemical weapons in Syria. But Russia, a Permanent Member of the UN Security Council, has persistently blocked efforts to hold Syria to hold account. And on 4 March this year, Russia itself used a chemical weapons on British soil, leaving one innocent woman dead, four more individuals fighting for their lives, and endangering countless others. Positive steps are being taken to strengthen the response to chemical weapons attacks. The European Union recently agreed to implement a sanctions regime targeting those who use or are involved in the use of chemical weapons, and the OPCW has been given the clear mandate to determine who is responsible for chemical weapons attacks in Syria. We are now working to enhance the OPCW’s capabilities to attribute chemical weapons attacks beyond Syria, increasing the international community’s ability to identify perpetrators and then seek justice for victims. But chemical weapons are not the only threat we face. We have also seen a significant increase in the scale and severity of malicious cyber-attacks across the world. They have been reckless and indiscriminate, affecting citizens in a large number of countries – including Russia – and have cost our economies millions of pounds. These attacks fly in the face of international law. We cannot and must not allow those responsible to continue to act outside of the law – or to go unpunished. The security of the European Union and its role as a champion of the international rules based system is at stake. We have a shared responsibility to act. Over the past year, international resolve to call out the perpetrators of reckless cyber-attacks has grown. In December 2017, the UK was joined by six international partners in attributing the WannaCry attack to North Korean actors. This was one of the most significant cyber-attacks to hit the UK in terms of scale and disruption. It disrupted more than a third of National Health Service Trusts in England. Thousands of operations were cancelled, putting lives at risk. In February 2018, the UK with support from 11 international partners, named the Russian military as responsible for the NotPetya attack. This attack caused widespread disruption to financial, energy and government sectors in Ukraine. And on 4 October, the UK led exposure of a number of cyber actors – widely known to have been conducting cyber-attacks around the world – as the GRU, was supported by 19 countries and the EU and NATO. These groups had been operating under such guises as Fancy Bear, APT28, Sandworm or Cyber Caliphate. Calling out perpetrators of cyber-attacks is an important first step, but we must go further. Recent events have shown that the EU, with the UK, must now urgently implement a sanctions regime targeting those who conduct malicious cyber-attacks with complete disregard for international law and established norms. We cannot allow our societies to continue to be attacked and undermined. We must demonstrate the cost of malign actions against us: that we will exact a high price from those who would do us harm.